Just before Christmas, I picked up the Estee Lauder Pure Colour Eyeshadow Duo in the colour 'Shells' as it is absolutely b-e-a-utiful. Having never tried any of Estee Lauder's eyeshadows before I was intrigued to see what they were like. If I'm not wearing neutral shades on my lids I love pink/purple toned shades as they always accentuate my brown eyes, making them stand out much more than they usually do which is why I went for 'Shells'. 'Shells' has two shades made for each other. One accentuates whilst the other contours. The first shade is a matte lilac colour which really opens the eye and is really fresh looking. The second shade used for contouring is a purple metallic colour which is so pretty and catches the light really nicely. Personally I sometimes just wear the metallic shade by itself as its quite a strong shade on its own but it does really look gorgeous contoured against the matte lilac. As you can tell by the swatches the pigmentation of these eye shadows are amazing and they apply like a powdery velvet which feels so lovely. This also makes blending it out easy as well. The packaging is very luxe as are the majority of Estee Lauder's packaging, with beautiful gold casing and elegant design. 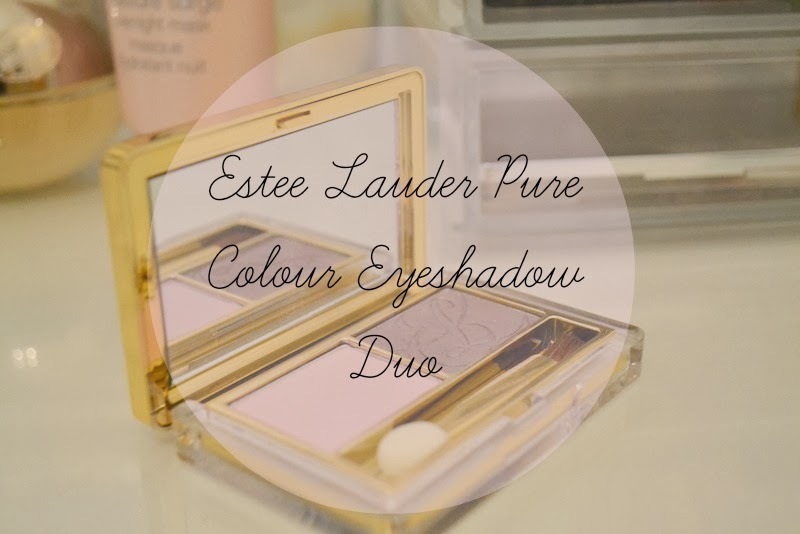 Estee Lauder Pure Colour Eyeshadow Duo can be found at Boots for £23.